My first short fiction collection, Tide of Shadows and Other Stories, releases in less than a week! 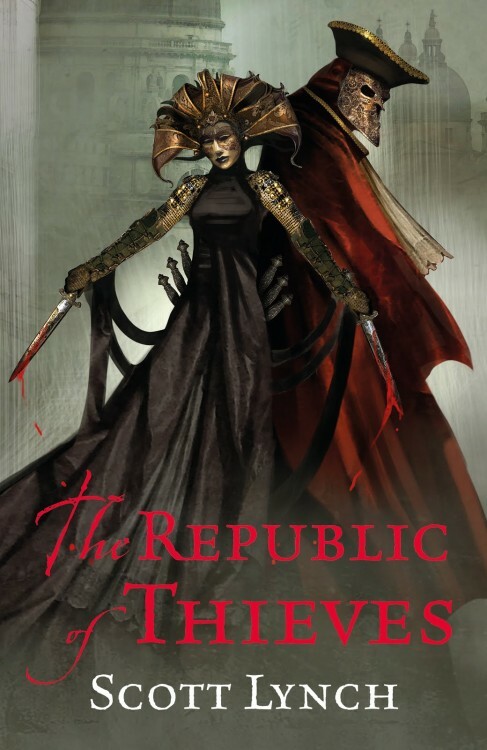 To celebrate the upcoming publication, you can now read an excerpt from Tide of Shadows and Other Stories right now. “Tide of Shadows” is a military science fiction tale about a group of genocide survivors aboard the spaceship Spirit of a Sudden Wind. Travelling half the length of a galaxy, they’re on a mission of vengeance: to seek retribution against the terrifying alien race that destroyed their home world, and bring peace to the spirits of fallen. 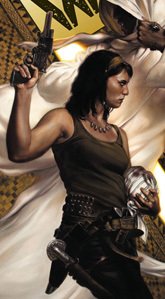 Read “Tide of Shadows” Now! 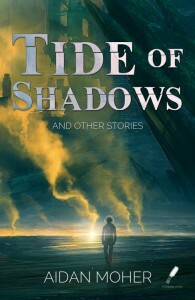 Tide of Shadows and Other Stories will be released on May 4, 2015 and is available now for pre-order. You can also find the collection on Goodreads. Hi, all! My name’s Brian McClellan, author of the Powder Mage trilogy from Orbit Books. My second book, The Crimson Campaign, will hit bookshelves, e-readers, and MP3 players worldwide on May 6th, 2014. It’s the sequel to my flintlock epic fantasy debut, Promise of Blood. Needless to say, I’m a little excited. The Crimson Campaign starts up where Promise of Blood left off and takes us deeper into the world of flintlock rifles, black powder sorcery, vengeful gods, political intrigue and international war. 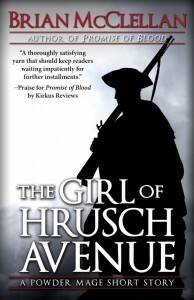 Inspector Adamat tracks a psychopath holding his family hostage, Field Marshal Tamas is cut off behind enemy lines with no hope of rescue, and Taniel Two-shot finds himself friendless in an army he once thought he knew. 5 years. 151 stories. 1 free eBook. Tor.com is celebrating its fifth birthday. As part of this celebration, my old haunt has compiled an eBook anthology of all the short stories published on Tor.com during that period. It’s called The Stories: Five Years of Original Fiction on Tor.com and it contains 151 stories from many of today’s best writers of science fiction and fantasy, including Nnedi Okorafor, Rachel Swirsky, Daniel Abraham, and Jay Lake. Tor.com is celebrating its fifth birthday this week and as one of the many things we’re doing to mark the occasion, we’ve assembled the entire last five years of our award-winning original fiction into one handy, and possibly physics-defying, ebook. This ebook is free to Tor.com’s registered users to download, as a thank you for joining and contributing to our community over the years. Enjoy! 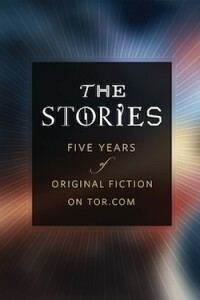 To download the eBook DRM-free (.epub, .mobi, .pdf), login to Tor.com (yeah, you’ll need an account, sorry…), and visit the blog post about The Stories: Five Years of Original Fiction on Tor.com. If you don’t have an eReader, you can also find the stories here, published directly on Tor.com You won’t find a better anthology published all year. Sorry, Unfettered. Maybe more satisfying is the chapter just released by io9. It makes me feel all tingly just reading new fiction from Lynch. I’ve missed the bugger. Time passed, days and months chaining together into years, and Jean Tannen joined the Gentlemen Bastards. In the summer of the seventy-seventh Year of Perelandro, two years after Jean’s arrival, a rare dry spell came over the city-state of Camorr, and the Angevine ran ten feet below its usual height. The canals went gray and turgid, thickening like blood in the veins of a ripening corpse. Canal trees, those glorious affectations that usually roamed and twirled on the city’s currents with their long float-threaded roots drinking the filth around them, now bobbed in sullen masses, confined to the river and the Floating Market. Their silk-bright leaves dulled and their branches drooped; their roots hung slack in the water like the tentacles of dead sea-monsters. Day after day the Temple District was shrouded in layers of smoke, as every denomination burned anything that came to mind in sacrifices pleading for a hard, cleansing rain that wouldn’t come. In the Cauldron and the Dregs, where the lowest of the low slept ten to a room in windowless houses, the usual steady flow of murders became a torrent. The duke’s corpse-hunters, paid as they were by the head, whistled while they fished putrefying former citizens out of barrels and cess-pits. The city’s professional criminals, more conscientious than its impulsive killers, did their part for Camorr’s air by throwing the remains of their victims into the harbor by night, where the predators of the Iron Sea quietly made the offerings vanish. Read the chapter, ‘The Boy Who Chased Red Dresses,’ on io9. You like free things, right? And you like good, critically-lauded novels? Of course you do. If you’re curious about why you should be excited by Hurley’s series, check out Justin Landon’s recent review of God’s War, and keep an eye on A Dribble of Ink for upcoming reviews of both Infidel and Rapture.